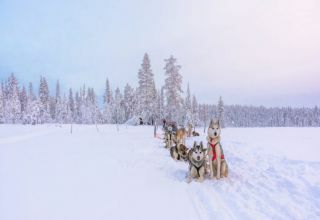 Experience the thrill of a Husky sleigh ride on the crystal white snow. 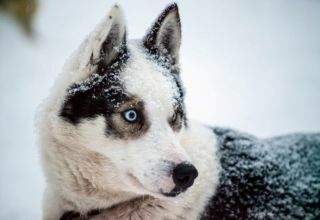 Join us for a Husky safari and visit the Husky Farm where you can play with puppies, learn more about the life in the North, and have an adventure of a lifetime. 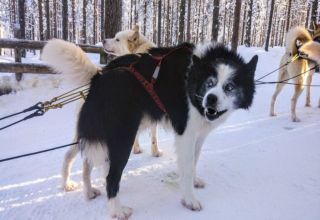 We will pick you up from your hotel and take you to the Husky farm. It takes about 25 minutes to get there and we will make the most of our time by getting to know each other. As we specialize in private tours, we aim to give your guests a customized experience. We'll do our best to keep you entertained! 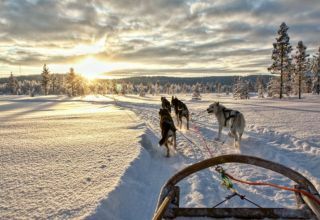 As we arrive at the farm you will have a chance to meet the professional dog mushers who compete in international races. 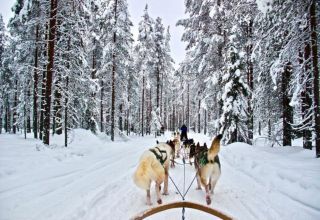 They will be the ones controlling your sleigh, so you can sit back and relax and let the Huskies take you on a ride to remember. 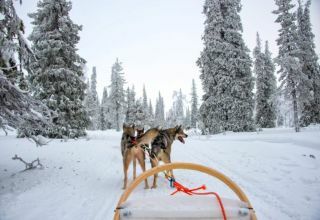 After the safety briefing, it's time for the highlight of your Lappish experience - a Husky sleigh ride! 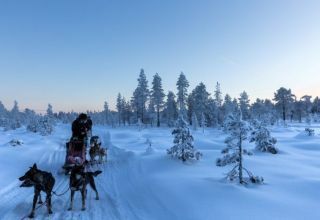 The ride is 2km long and it takes about 15 minutes to skim through the splendid snow-covered fields. 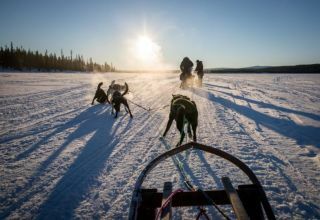 Dogs are used to cold environment and racing comes naturally to them. Remember, they enjoy these rides as much as you do and they will be happy to take you on this unique safari. After the short and sweet ride, it's time to warm up with some berry juice n a cozy little hut. You will have a tour of the park and meet other dogs too. 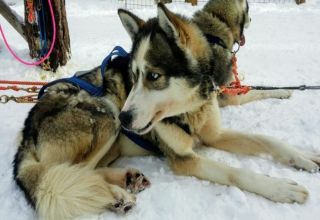 These Huskies are very well taken care of and they are more than happy to meet you.